If you’re a person with a disability, or you live with a relative who has a disability, and you meet certain requirements, you may be eligible for the additional grant of $275 on top of the regular or basic grant of $570. The total grant amount for people with disabilities is $845 in the Capital Regional District, Greater Vancouver Regional District and the Fraser Valley. For all other areas of the province, the total grant amount for people with disabilities is $1,045. 1. You receive provincial disability assistance, hardship assistance or a supplement under the Employment and Assistance for Persons with Disabilities Act. Purchased your principal residence with a qualifying modification completed by a previous owner and the modification cost at least $2,000. Note: Qualifying for other assistance programs, like the Canadian Pension Plan (CPP) disability benefit, doesn't automatically qualify you for the home owner grant for people with disabilities. The grant threshold is the maximum value of an assessed or partitioned property where home owners are eligible to claim the home owner grant. The threshold amount is reviewed every year to ensure that the value of at least 91% of homes in B.C. are eligible for the grant. The grant is reduced by $5 for each $1,000 of assessed value over $1,650,000. This means the grant isn’t available for properties assessed over $1,819,000 ($1,859,000 in a northern and rural area). 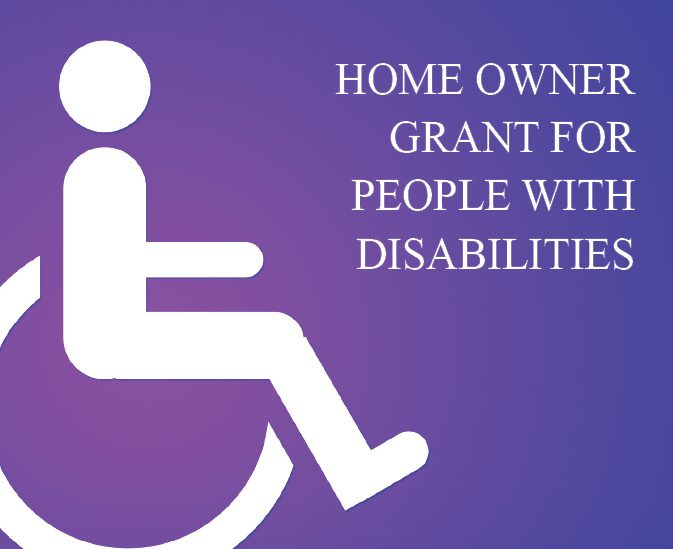 If you own a property with an assessed value of more than $1,650,000 and have an adjusted net income of $32,000 or less, you may qualify for a low income grant supplement for people with disabilities. If your property has an assessed value of more than $1,819,000 ($1,859,000 in a northern and rural area), then you aren’t eligible for a home owner grant. You may still qualify for a low income grant supplement, even though you aren’t receiving the home owner grant, and can apply for the supplement on its own.